WWDC 2017 is right around the corner, where Apple is expected to reveal iOS 11, the newest version of their mobile operating system. There have been many rumors floating around about what iOS 11 will have in store for us, but not all of those features will end up in the final product — and a lot of the features you want won't actually make the cut, either. But that doesn't mean we can't hope for the best. Apple didn't exactly address all of the things we wanted iOS 10 to have, with deleting stock apps the only feature to really make it to the final build, so we're not expecting much here. Most of those wish-list features remain when it comes to iOS 11, with the addition of the following, which range from tiny personalization options to big-ticket items everyone can enjoy. I love Night Shift — I literally use it every night — but why does it have to take up an entire row in the Control Center? It can be downsized into a smaller button like the rest of them, which will free up more space for other quick-access features like Low Power Mode or Battery stats. Speaking of more buttons in the Control Center, wouldn't it be great if we could add shortcuts to our own most-used settings and apps? Apple purchased Workflow earlier this year, which makes it seem like Apple's finally open to the idea of giving its users more control, but we're not expecting that to seep into the Control Center just yet. But we can hope. Before iOS 10, there used to be a "Trash All" option in the inbox for mailboxes, but it's no longer there. There's one clever hack that brings back this functionality, but we shouldn't have to resort to such things. I'd love to see the "Trash All" option back, but not just for inboxes (which I find drastic), but for folders and more importantly, from a search. Let's say you wanted to delete all the emails from Groupon in your inbox. You'd search for "Groupon," then can select either "Mark All" and "Trash" or just "Trash All." The former is fine with me. Anything is better than spending 5 minutes deleting 450 emails, as you can see below. Not fun. Especially if you accidentally rotate your device and it wipes out all your check-marking progress. Like I said before, I'm a big fan of Night Shift mode, but another big visual item people want in iOS 11 is Dark Mode, which also helps reduce visual strain. We saw a hint of this way back in an early iOS 7 beta build with its dark keyboard, but nothing since. Dark Mode would essentially change all of the bright white elements in the UI to a dark color, and we hope it would be more deeply integrated than macOS's dark menu bar and dock. 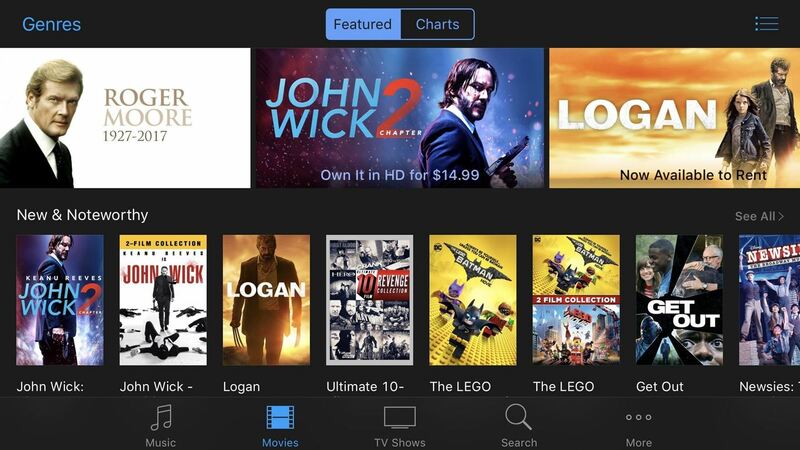 The iTunes Store has some dark features already. Reddit user reximilian brought this up the other day, and I dig it, especially since I hardly listen to voicemails anymore with voice transcriptions in the Phone app. Some people have complained that this is a useless feature since there's already a way to transcribe your voice for a text message. But sending an actual voice message adds that extra special personal touch, and having it transcribed for you while you can't listen to anything at the moment can help you tell whether it's something urgent or something that can wait. For me, personally, spam phone calls are getting out of control, and you can't rely on the Do Not Call list to save you. 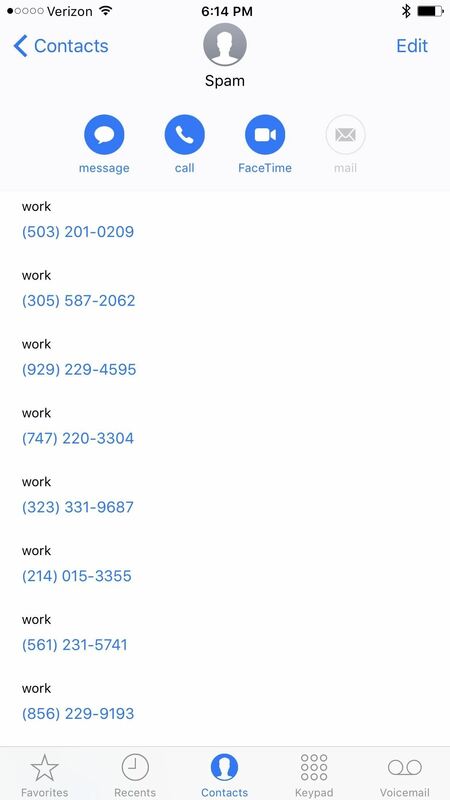 Apple does allow third-party apps to block calls in your Phone app, but the good ones are paid, and they all require access to your contacts, which doesn't sit well with a lot of users. As a built-in feature, you can block a phone number from the contact's info screen. You can even make "Spam" the name of that contact, then add new spam numbers to it each time you get one. But why not make this easy on us? 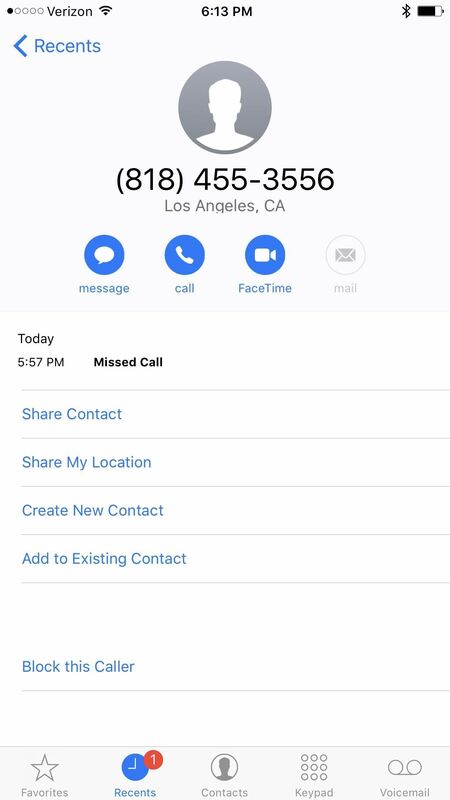 You can swipe left to delete a call in the Recents pane, so why not a swipe right to mark it as spam? Even a 3D Touch action would work. We shouldn't have to create our own spam box — it should be built in — especially since there's no way to block voicemails anyway. While it was nice of Apple to include a "Clear All" option for notifications, it was not nice of them to remove the ability to group notifications together by app name. That feature appeared in iOS 9, but was shortly removed in iOS 10. We'd like it back in iOS 11. This is one of the features that we wanted to be included in iOS 10. 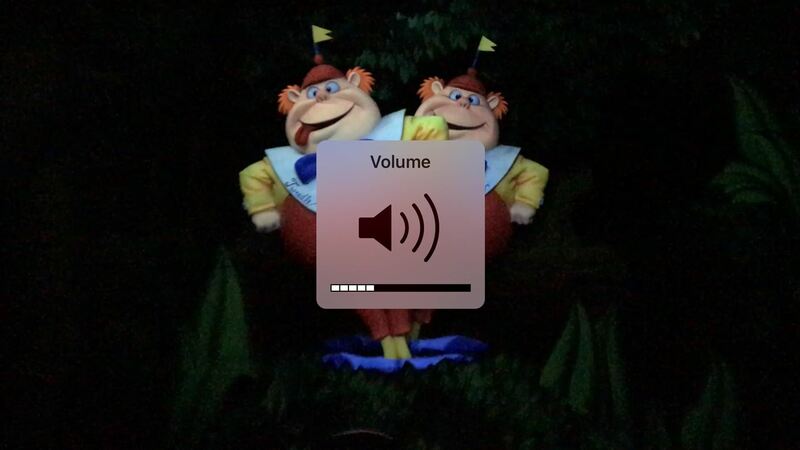 The volume HUD (i.e., the popup that says "Volume" with a big speaker icon, volume notch indicator, and translucent background) stays up for several seconds in a lot of spots, which is pretty obtrusive. For instance, if you're listing to music but are playing a game, the HUD will block your gameplay for a few seconds. Apple did fix this issue in some of their own apps, like in TV app, but it still shows up when playing videos in the Photos app, as well as many other third-party players like Netflix. Some apps have fixed this issue themselves, like YouTube, instead of relying on Apple's system. Playing a video in the Photos app. While we weren't entirely impressed with Google Assistant on the iPhone, it had one feature Siri needs pronto — keyboard interactions. One of the biggest qualms with Siri is that I don't always want to talk to her, but still want her to help me out every now and then. While you can use Spotlight Search to do a few tasks, having an assistant actually write you back is a completely different thing. Apple has applied for a patent for keyboard interactions with Siri, so we're hopeful this is coming in iOS 11. Apple opened up Siri to third-party developers in iOS 10, but only for certain categories such as workout tracking, messaging, and ride-sharing. Why restrict the Siri API to just a few categories when you can let them all integrate with her? It'd be nice if music apps got some love here, so you can ask Siri to play a song on Spotify or another service. Right now, if you ask her to play anything on Spotify, she flat out ignores the Spotify request and opens up Music instead. Ever since there's been a flashlight on the iPhone, there have been "unofficial" ways to turn it off faster by using the Camera shortcut on the lock screen. But why do we have to rely on a bug to do something that should be built in? There a quite a few options Apple can choose from for this. They could give more power to the power button to shut the flashlight off with a quick press when the screen is off. Or they could add a persistent flashlight notification on the lock screen when you wake it, so you can just tap it to turn if off. Too easy. Not everybody needs a dedicated number row in a keyboard, especially since it takes up valuable space, but there are occasions that I find myself swapping back and forth between numbers and letters at a rapid pace. A nice 3D Touch shortcut to enable a number row wouldn't hurt anybody, would it? Even a system setting would do. While we're talking about the keyboard, I hardly use Apple's stock version. Why? Because there's no swipe typing, which is just way faster. It's one of the biggest reasons users flock to Gboard and other swipe-friendly options. This is another big one that came from our last wish list. You can set up a "guest" account on a Mac, so why not on an iPhone? Apple has already integrated multi-user support for iPads using their classroom software, and we'd like to see that come to everyone in iOS 11. These features have only appeared on iPads, but the Plus model iPhones are big enough to get some use out of them. 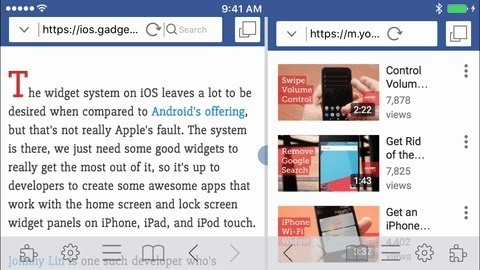 Slide Over lets you interact with a second app without leaving the first one, while Split View lets you actually use both apps at the same time. We can't see this being easy to use for all apps on a smaller screen, but there are a few that could make the cut. Hell, even a picture-in-picture feature would be enough. This is one of the biggest wish list items of late by almost everyone I talk to. Right now, you can only FaceTime with one other user, but word is that iOS 11 will indeed bump that up to five participants, and will also let you start a FaceTime video chat from within iMessage group chats. How awesome would that be?! 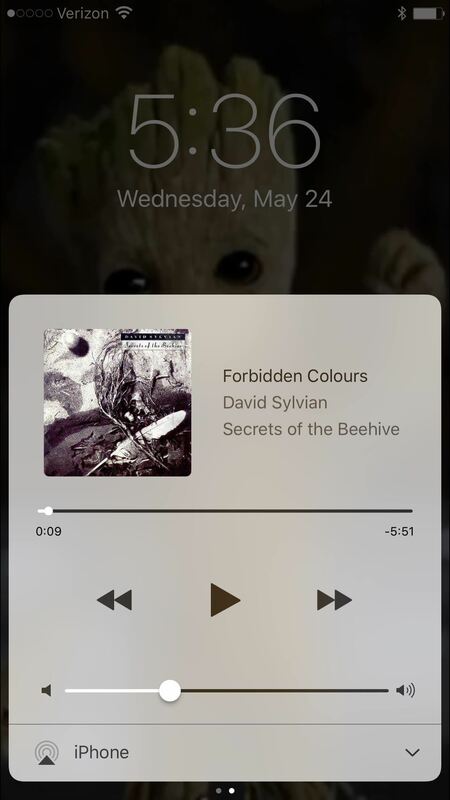 Older versions of iOS let you rate songs from the lock screen, so why did they get rid of this option? When I'm running, I just want a quick shortcut to either thumb up/down a song — or even better, give it a star rating — without having to unlock the screen or talk to Siri (she can't understand me that well when I'm running). They could include an option on the lock screen player or just in the Control Center player — I'd be happy with either. The "Clear All" option for notifications is a great addition to iOS, but there are a few more things Apple can consider in this area. A 3D Touch option to clear an app's cache would be much appreciated, as well as a way to "Force Close All" from the multitasking view. What Do You Want to See in iOS 11? Theater Mode (which I, personally, hope never makes it to fruition). A file manager for internal storage (not just iCloud Drive). The ability to protect individual apps with Touch ID or a passcode. Sorting apps automatically by name or kind. A way to sort apps by data usage. Haptic feedback in the keyboard. A way to see animated GIFs in the Photos app. 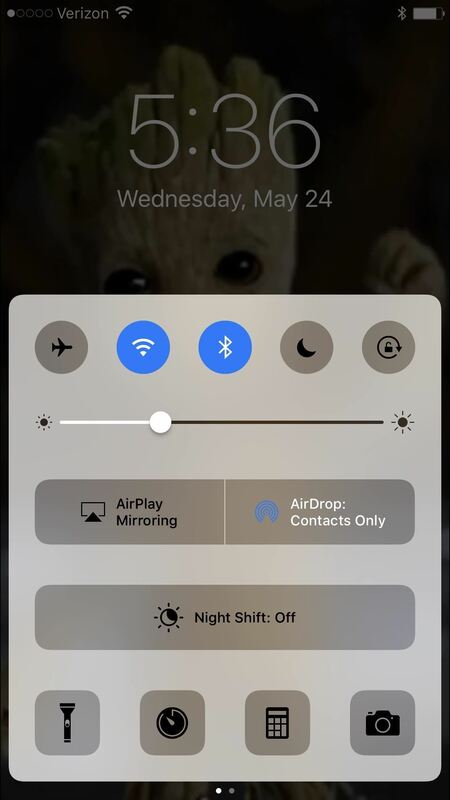 3D Touch actions in Control Center for settings toggles, or shortcuts to their settings menus. What features do you want Apple to include in iOS 11 the most? Sound off below.